1. Click "Sign in" on the top right corner of our homepage. 2. Select "forgot your password"
3. Enter your registered email address in the provided box. 4. 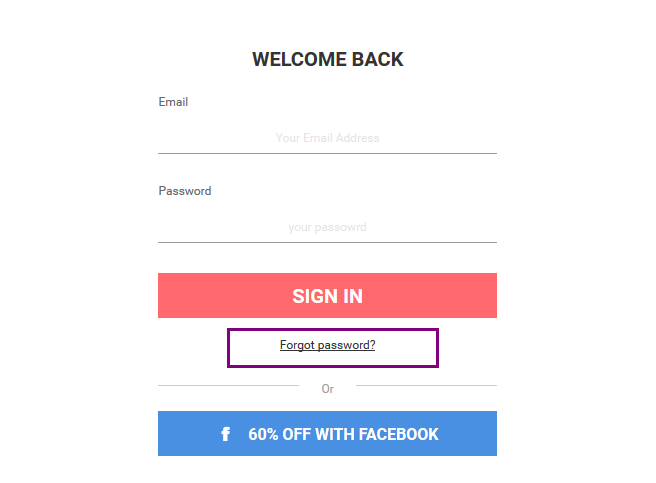 You may receive the reset email and you will create a new password with the link. Please also check your junk mail folder if you cannot locate our mail. 5. Enter the new password to log into your account.